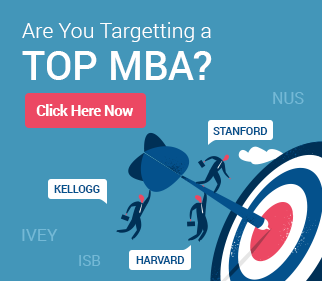 MBA in Singapore has gained prominence in the last couple of years. While world-class education is definitely a big pull, the multi-cultural environment (UNESCO ranks it as the 6th best student city) and the employability after the completion of the course makes this place extremely popular. 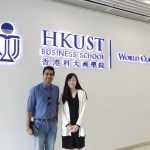 NUS vs NTU: While the two major management schools in Singapore- National University of Singapore (NUS) and Nanyang Technological University (NTU) offer excellent MBA programs, their courses differ on several aspects. This here is an attempt to differentiate between the courses and give you a snapshot of each of the courses. NUS-A broad look at the class profile of the students joining the MBA course with NUS puts the average work experience at 7 years while the average age in this group of students is around 32 years. Though 93% of the class constitutes of international students, a majority of them come from the Asian region or are those that seek a career in this region. Singapore is strategically located in the region is a hub for some of the biggest financial and IT companies. For Delphine Morandeau, the sole purpose in joining NUS after being involved in an Urban Innovation project for a government agency was to understand the private sector in Asia and find a focus through this journey. She is now the Philanthropies Asia Marketing and Communications Lead at Microsoft in Singapore. NTU- If you look at the Nanyang MBA and the class profile, the students typically come with an average of 6 years work experience and the average age of the students is 28. With a class size of about 80-100, 40% of the group constitutes women and 88% are international students coming from over 20 countries around the world. The number of students also vary depending on the course you take. For instance, NTU also offers an MBA program for senior executives called the Fellows MBA inviting just 20 professionals from around the world. This program starts in Singapore and works its way around three US universities. (Wharton, Georgetown, and UC Berkeley). NTU- The Nanyang program is a 12-month program, described as a compact and an intense program, this course combines 9 courses (core) and 4 electives. The prominent features of the course include SPAN (Strategy Projects at Nanyang) and BSM (Business Study Mission). While SPAN allows students to apply lessons from the class in a real-life consulting project with a sponsor company, BSM gives the students exposure by allowing them to visit overseas companies, observing, engaging and meeting with executives of such companies. NUS- Boasting of an industry-focused curriculum, this course aims to provide business training with an emphasis on the Asian region. 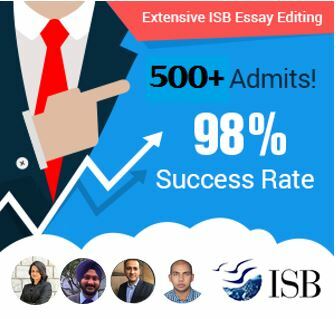 While some of the regular specializations are Healthcare Management, Strategy and Organization apart from Finance and Marketing, they have introduced Business Analytics, Business Economics, and Innovation in the last couple of years with a view to keeping the curriculum more relevant to the industry’s needs. Over the years, strategy and organization have been increasingly becoming a preferred choice for students when it comes time to choose a specialization. For instance, Aneesha Daswani, having completed a bachelor’s course in Information Systems Management, felt the need to round off her education with a strong understanding of Corporate Strategy which would help her further her career. She has completed an internship with SAP’s corporate strategy group and currently awaits her confirmation. NTU- Their motto sums up what they aim to achieve and that is “nurturing global leaders for a sustainable world”. Despite the course being a short one, it is a compact and intensive course designed to allow participants to gain a real-world look at the business models. Apart from undergoing leadership courses, they also indulge in a group “live” strategy project in an organization. They are guided through the project by the sponsor company and the faculty. Further, the students have an option to do the Business Study Mission either locally or in another country, thanks to the collaborations with universities worldwide. Student exchange: The International Management Consortium is an international network of leading business schools and through this program, the students get to spend a semester in any one of 62 universities worldwide. Columbia Business School, the Kellogg Business School and the Duke Fuqua School of Business are just some from the long list of universities. Mehak Chadha who now is the Senior Product Manager at Amazon in Germany graduated from NUS in 2016. Her student exchange program took her to the Kellogg School of Management. Her experience and education on customer-focused analytics were enhanced by this experience. Study Trips: Every Semester, there are student-led overseas trips (called STEER– student trips for Engagement and enrichment) which help you to enhance your professional network on one hand and on the other, expose you to professionals and government officials who provide some valuable insights into tackling real business problems. A group of 18 students from the 2017’ batch visited Australia and had a wonderful experience visiting with companies such as Fairfax Media, IBM, and Further, they were able to attend the networking event conducted by the Melbourne Business School (Partner University of NUS). Case Competitions: Case Competitions such as The Asia- Pacific Challenge, The Venture Capital Investment Competition and Global Network for Advanced Management Investment Competition offer exposure to the students to not only hone their leadership skills but also presents a wonderful opportunity to apply their business knowledge to real-life challenges. NUS Business School has held the Championship Title for two years in a row (2016 and 2017). Hosted by the Yale School of Management, teams are required to submit a portfolio of 5 investment ideas from their region. Leading People Globally Program: One of the unique features of the MBA program is this program which aims to give the participants theoretical and practical knowledge of how to lead people in organizations. Apart from this, one of the key take-away’s from this process is understanding different cultures, their influences, and principles of negotiations. Live Consulting Projects: SPAN as it is called, is an educational collaboration between the industry and the university to give the students an opportunity to do the necessary research and analysis to address real-life challenges and explore market opportunities. They are helped by the faculty to come up with realistic recommendations to the organizations based on their study. Business Study Missions: Company Visits and Seminars are a forerunner of this program and some of these destinations have included Argentina, New Zealand, and Shanghai among others. The important objectives of this program are to understand the opportunities and challenges of doing business in a particular country. NUS – Starting this year, NUS will be offering an Innovation and Entrepreneurship specialization thanks to increasing interest in current and future applicants. This specialization seeks to cover all aspects such as incubators, accelerators, venture capitalists taking a more holistic approach to the degree. The NUS Enterprise provides the right support to help students with their ideas. The NUS Start-Up incubator which is part of this enterprise has grown in strength and popularity with time. They not only provide a launch pad for your ideas but bring legal and accounting consultation too. A huge part of the success of a business is the funding and NUS offer several grants for their students. SurePark, in Singapore, uses wireless sensors in parking lots to help you find parking space and shows you how to get there. This is the brainchild of Neil Mehta and his partner. With the Singapore government backing the idea with a grant and using valuable resources provided by NUS, they were able to move from idea to launch quite quickly. It continues to be implemented in several places across Singapore successfully. NTU – In a bid to attract students from all over the world, especially the US, Australia and UK, Nanyang (NTU) and three other universities from Asia (HKUST- Hong Kong, CEIBS-China Europe International Business School and ISB- Indian Business School) have come together to form the “Ivy-League of Asia” projecting themselves as the leading Universities in this region. With the Asian markets becoming the focus, being in Singapore offers the perfect advantage. With major changes in their leadership programs and Live Consulting Projects, the MBA program in NTU has dramatically improved in time. On an average, the graduates have doubled their incomes after the completion of the program and this has led to the NTU MBA program moving 11 places up on the Financial Times Ranking of Global MBA’s (now ranked 24). For instance, Cheng Cen was able to move from being a business executive to a senior consultant in Deloitte Singapore after graduating from NTU. He claims that being part of the organizing committee in the Case Competitions through the course helped him to focus on Consulting and Business Development. NUS – The Career Services of the school has a wonderful support system which seeks to help you on your career path. This is done through several programs such as Recruitment Events, Networking, Career Skill, Workshops, Internships and Career Resources and Advisory Service Centers. Ambica Upal, growing up in Asia and having worked in North America, she yearned to get a more all-inclusive perspective of business in Asia. NUS was her choice when it came to doing a management course in Asia considering its location and reputation. She was pleasantly surprised by the culture at NUS which went beyond just Academics. She was able to refine her leadership skills thanks to the umpteen clubs and communities where networking with friends and colleagues truly broadened her perspective. She is currently the Manager of Corporate and Brand Marketing at CIBC (Canadian Imperial Bank of Commerce) in Canada. NTU – The Graduate Studies Career Development Office works closely with individual students to come up with a realistic plan to achieve your career goals. A dedicated Employer Engagement Specialist who understands your industry is assigned and a personal career coach is available to help you to hone your skills. Also, they have a comprehensive combination of workshops that cover several topics such as Professional Etiquette, Resume Writing and Interview Preparation which are typically not covered in the course. The story of Col Jerica Goh is a unique one. With a deep desire to acquire the leadership skills required to command a ship and its crew as the commanding officer of RSS Supreme, she chose the NTU MBA program. The short stints at MIT Sloan and the Wharton Business School enriched the overall experience of the MBA course. She claims that the diverse group of students brought different perspectives to a problem which helped her to realize that it is important to be attentive and responsive to the world around us.